For Love of the Game? Disclaimer: This is going to be one of those post; you know the ones- the general philosophical musings usually conceived at 4:45 in the morning (though this one has eveolved over five days). If you are looking for more Matchbox specific content, it will be available in the next couple of days so hang on in there. Viewer discretion is therefore advised. For the first time in an age, a large number of the Matchbox are ‘resting’. 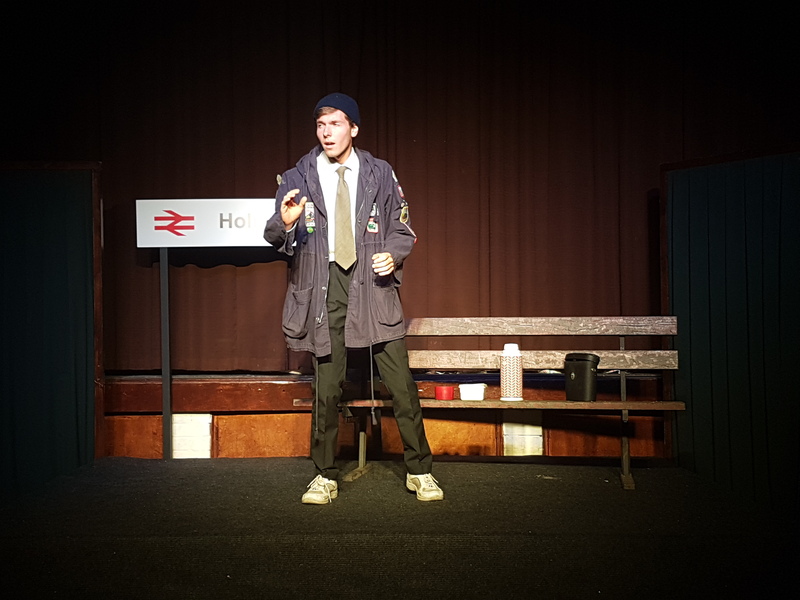 As outlined in former posts, the forthcoming ‘Talking Trainspotting’ is a lower key show than many in recent years, three performers largely self-directed with a steer from Annie and Tim alongside a small but perfectly formed tech crew and there you have it. 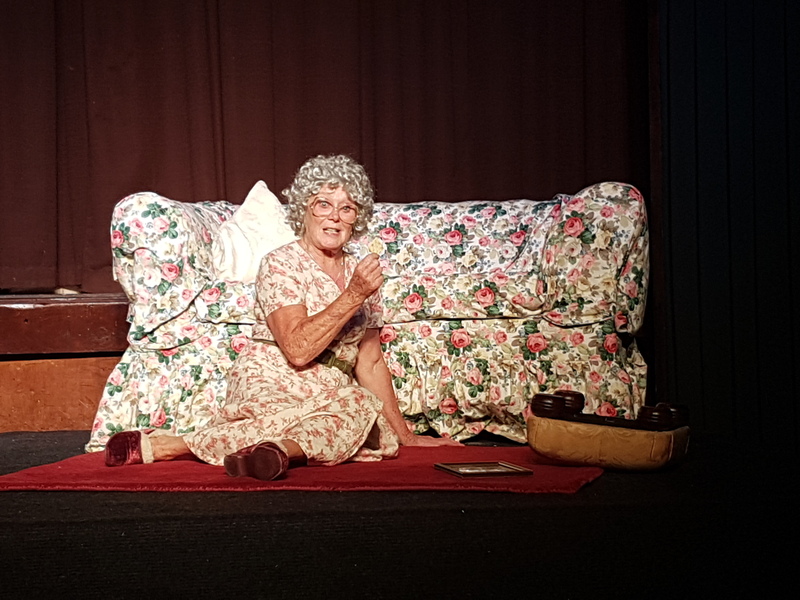 That is not to say that the upcoming show is set to be any less enjoyable or engaging of course but larger scale has definitely been ‘en vogue’ of late at the Church Hall. So, how has it been for all those who are currently getting on with ‘real life’? Who don’t have to panic or fret about learning lines? Who aren’t required at rehearsal once, twice or thrice a week? Interestingly the most regular take has been, “I am enjoying having the time but, you know, I am missing it”. Missing what, though? The camaraderie? The aesthetic fulfilment? The chance to play dress up? This got me thinking, as oft it does – why do we do this? What is it about amateur theatre that compels so many of us to give up so much time and impose such fierce pressure upon ourselves for those few nights of ephemeral pleasure? 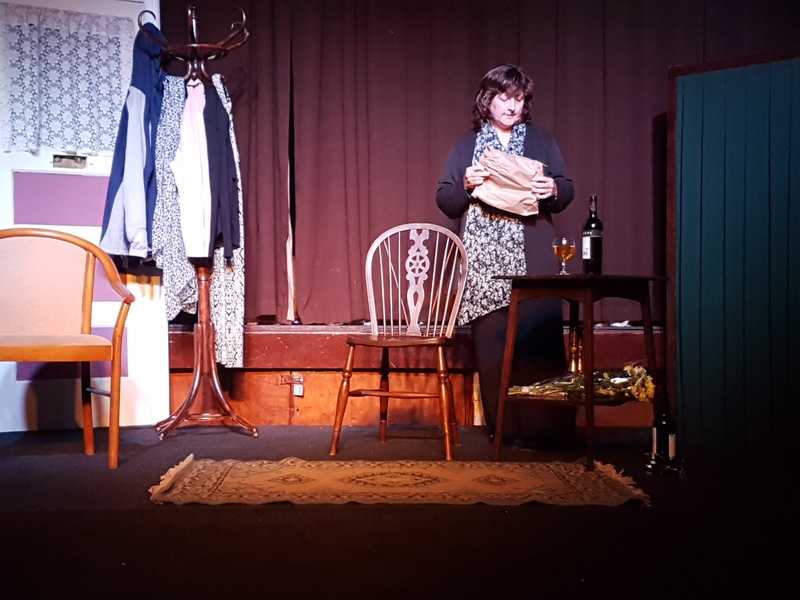 As someone who has just come off the back off pretty much eleven months continuous theatricalising with five shows in quick succession, I imagined that ‘I am missing it’ would be the last thing I would be saying – but there is a part of me that is. Writing this blog is the purest exemplification of that. 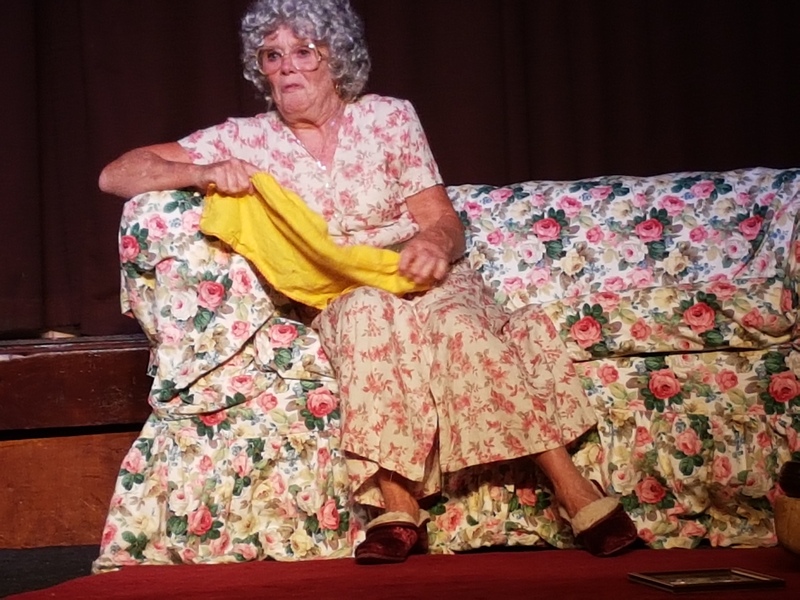 I know my dedication can be a little out of the ordinary, I am well aware of that: my name is Mike and I am an amdram addict! On more than one occasion I have likened my theatricalising to a hard drug habit, and I am only half joking in that analogy. 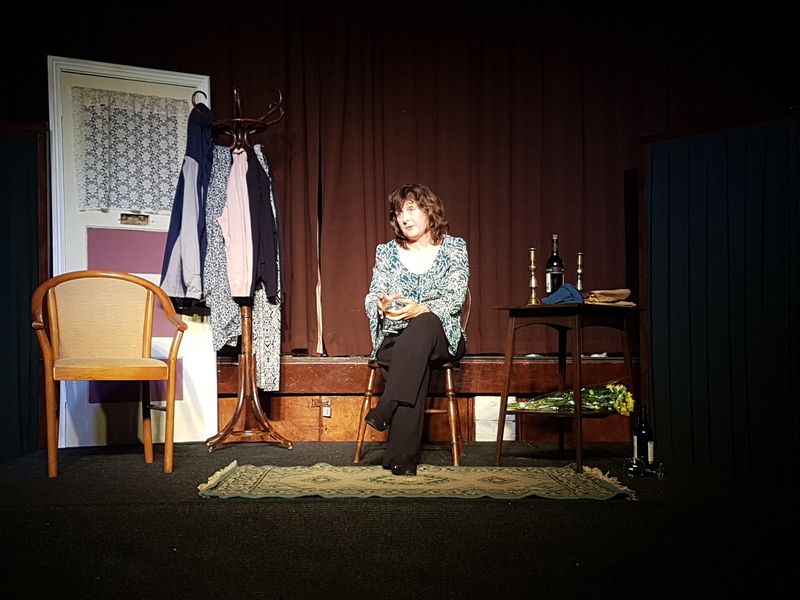 Like powerful narcotics this whole putting on a play lark can be overwhelmingly euphoric alongside inducing the most horrendous crashes and downers and when one is without it, there is that feeling of being bereft, that something is, well, missing. Now I don’t mean to trivialize drug addiction but bear with me when I say that, as someone getting used to having nights and weekends back and not worrying about where to source props, what colour to paint the backdrop (and sorting who is going to paint it) and when I am going to have to learn certain lines, it all feels a little odd. This article, then, is a sort of am dram methadone. It’s not the real thing but is related to it and so stays the anxieties at least until the next one. So, to go back to that opening question, why? Well, I have to add another disclaimer here; most of this is going to be written from the perspective of actor and director. I know for sure there are numerous reasons for those working behind the scenes to get involved, some of them listed below, but with limited experience of these areas I do not have the knowledge to write authoritatively on such matters so please do forgive. Anyway, let’s begin with a universal: for many, amateur dramatics is a hobby which allows them to meet others, possibly- though not always- with a shared interest. As a teacher I have found it can be very easy to find one’s life centred on the profession in both work and play which can be a good thing but which can lead to too much ‘talking shop’ at times; I imagine it is the same with many jobs. Of course there are family members and those other friends that one has accumulated over the years but they invariably tend to be well established by that certain point in one’s history when many of us take up the hobby. The Drama is, therefore, a variation to the norms of life which can leads to a coming together of folks from all walks. Butcher to banker to brickie to barrister, putting on of a play has introduced me to a galaxy of people over the past 18 years, many far removed from the world of education and who I would have very unlikely met in everyday circumstances. Some have become firm and very close friends (although invariably this has mostly occurred in the close-knit environment of the Matchbox); others acquaintances to happily greet in passing on the street or to be satisfied upon seeing you have been cast in a play with them; some you never see again. I have written already about the ephemeral nature of plays, how a group of people are thrown together for an intense period where emotions can run high and tensions are invariably part of the process (Popular ‘Fiction’ Part 2: The Slough of Desponde) – but it is certainly a curious wrench when one has worked for a month or two for 3/4 nights a week and then all come together for a run of 3, 6 sometime 9 nights and then with a cheery goodbye or hungover shake of the hand once the set is down, it’s over. I guess it’s a fairly unique sensation in hobbies- I doubt philatelists or photographers or fisherman or many other pastimes feel anything quite like that. But whilst it is going on it can be so richly rewarding. There are all sorts of theories about the pleasures of creation and undoubtedly it is a big lure to many. Incredible satisfaction can come from a simple idea: “What if I say it this way?” or “How about if I walk over here?” or “What do you think about me sitting louchely on the chaise longer whilst imagining myself looking plaintively at the ducks flying to Moscow ?” Sometimes it doesn’t work – no matter how hard you look into the nether you will never convey the wistful melancholia of Tsarist Russia as embodied by wildfowl. But sometimes you hit paydirt. And the satisfaction that YOU have imprinted something upon a scene or a character that is uniquely YOURS can be priceless. Perhaps no other performer has ever considered that interpretation and you are offering something never before seen or maybe it IS just more of the same but whatever it is, it’s yours for this run. This concept can be extrapolated significantly when one is directing. The role carries with it multiple decisions and with it the potential for dozens of little moments in performances, stage design or composition that maybe no other soul but you will notice (although you hope at least one person might pick up on it). It can be wonderfully satisfying to imprint meaning and interpretation on a piece – that the underlying sound of that clock conveys the existential angst of a society spinning into The End Times or the triangular organisation of actors on stage reflects the distancing in relationships or that the statue looks pretty good against a beige background – whatever the case the fulfilment, intellectual or otherwise can be a great lure at times when perhaps in life outside of the theatrical there are fewer opportunities to flex that creative muscle. It is no secret I am a fully paid up, card carrying member of the ‘Dungeons & Dragons’ club. Since 1983 I have enjoyed playing as someone else (although let’s be honest, like most of us, I was roleplaying a long time before that! ), whether it be across the table throwing funny shaped dice or on the stage in borrowed finery. One person’s carpets and curtains are another person’s royal regalia and I have worn more than my fair share of reworked upholstery over the years as well as occasionally enjoyed the odd wig, tunic or pair of (tight) boots that have been appropriated at some sizeable cost from a costumier to the stars. To be blunt, a lot of us like dress up, and to BE someone else! In an age where fashion marches on there is something just, well, ‘cool’ (if I can use that word unironically in 2017) about dressing up in something timeless . There is something even more fulfilling when you ‘get’ that person one is playing. Every so often one hears actors saying, “I AM such and such “, I have said it myself occasionally, and it can be sad to say goodbye to a particular role at times I can tell you. So what does that mean? Well, let’s make this clear that this is by by no means every character someone plays, and I have phoned in a fair few over the years, but when it does occur and you get that sense of identification and fulfilment (being dressed up to look a million dollars is an optional bonus) it can be invigorating. That feeling of ‘being’ a particular individual and knowing where he or she is coming from has certainly been something that brings me back to the smell of the greasepaint time and again. But if the putting on of a mask and being something else- that greasepaint – is one part of it, the other part of the famed adage can be considered just as important: the roar of the crowd. Yes there is definitely something of the ego in this whole process, the affirmation that all eyes are on you and those eyes are appreciating all you do. Sometimes the best way of ascertaining this is in a good comedy, laughter is the best yardstick by which to measure if you have the viewing public on your side and it is a natural reaction to feel good if you know you are making other’s feel good. But equally there is something powerful in drama or tragedy where the reaction you want is silence and when one feels that rapt focus – it’s an odd thing to articulate but you know when you have it – or better still hear that surprised gasp in the audience or an exclamatory cry, it can be as thrilling as peals of ringing laughter. To know you have done a good job is a reward unto itself, though this leads to the dichotomy of the ‘after show ‘ meet, something I am not very good at. ‘Tis one thing to let your ego drink in the unspoken plaudits on stage, I just get a little awkward in those ‘You were marvellous’ conversations when the curtain has gone down, particularly when you know you weren’t, or, worse still, when no such conversation is forthcoming as your friend/ relative/ guest/random audience member proceeds in a politely stifled fashion to talk about everything BUT the past two hours traffic of the stage. Yet there are plenty who enjoy it and love to know their work was appreciated in that way, and why not after all – after you have put weeks or months of hard work into something why shouldn’t it be applauded?! And then there are those times when walking down a street or in a queue or dully minding your own business when a stranger comes up and says ‘You were in that (fill in play where applicable). Oh I/we thought you were wonderful.’ And that I suppose is most rewarding, the appreciation unprompted. Sure Sainsbury’s car park isn’t quite Mann’s Chinese Theatre, but for a brief moment one can feel like a star and that surely is a reason for many to get involved in this hobby of ours, to know you have made an impact and an impression and someone is happy enough to take time out of their day to thank you for it. So, there we are, my thoughts on the matter thus far. It’s not exhaustive and, as said, very much from the actors’/directors’ perspective – again sorry . If you have any additional or alternative or additional thoughts please feel free to add. Whatever the case, it seems fairly clear to me that there are plenty of good reasons why we do what we do and long may they carry on. I am hoping to look in on one of the dress rehearsals for the upcoming triple bill starting this Thursday. I will be sure to report in on them in the immediate future but in the meantime you good people, take care, keep well and g’bye for now.